Styles Taught:Folk, rock, jazz, funk. Strumming, picking and fingerstyle. Home Lessons Available? :Yes, throughout Eastern Suburbs and surrounds. 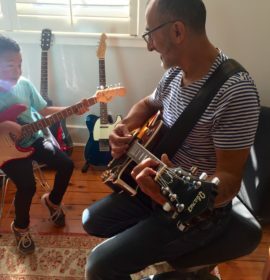 Gerald teaches guitar all over the eastern suburbs of Sydney to children, teens and adults, ranging from beginner to advanced, in all styles including folk, rock, jazz and funk. Gerald has been playing guitar for more than 30 years. With two young children of his own, he is passionate about instilling a lifelong love of music and making lessons enjoyable. 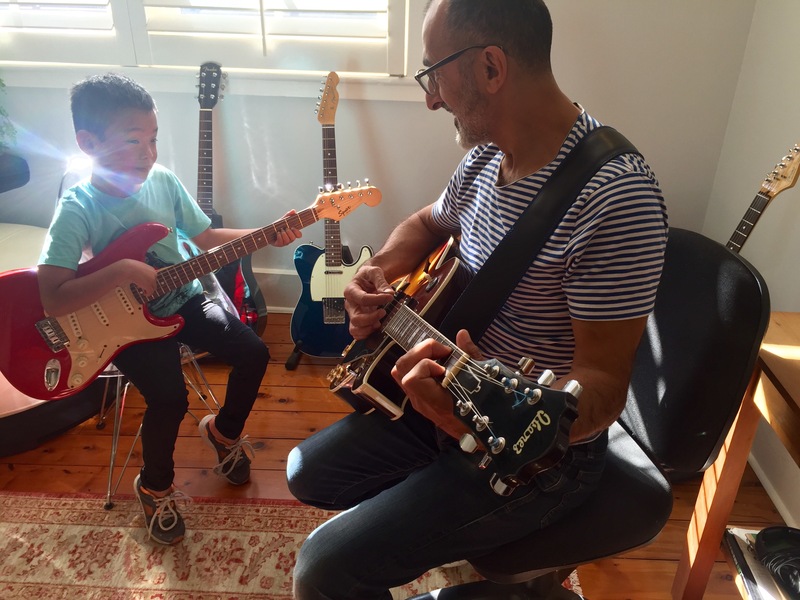 Described as patient and thoughtful, Gerald will tailor a teaching program to you, or your child’s needs, based on current level of ability, personal goals and the type of music that you or your child wants to learn. The Lessons with Gerald have been great! My Son Kieran is enjoying the lessons and is looking forward to more. The lesson went very well, my son really enjoyed it. He is having his second lesson today. The lesson was very good and we will see him again next week. The lesson was good, Gerald was fantastic with Ari. Gerald is delightful, the lesson was a great success.